Can I mix in peanut butter in the Magifrost for a peanut butter dog icing? How much should I use? Can I use other flavors too? What are some popular flavors? 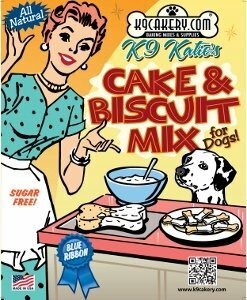 Mix two tablespoons of peanut butter into 1 cup of Magifrost dog treat icing. 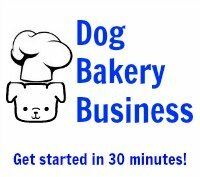 Dogs have a heightened sense of smell so although the icing may not smell very peanut-buttery, the dog will know the peanut butter is there! You can mash a banana into the icing mix, carob powder, pumpkin, sweet potato, any flavor you like. Because the mix is sensitive to the amount of water used, just be careful if you are adding liquid - you may have to adjust and add a little more icing powder to compensate.